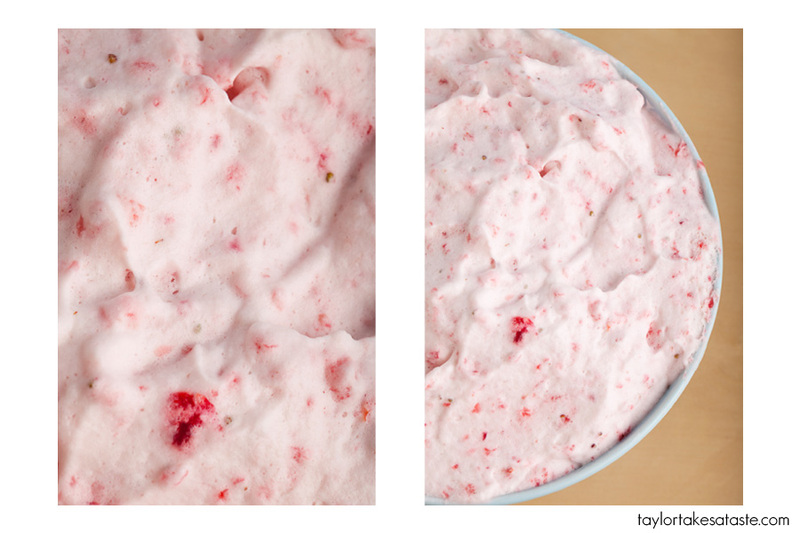 This memorial day weekend why not make frozen Strawberry Souffle! I was intrigued and had to make some. This recipe is adapted from a blackberry frozen souffle in The 4 seasons cookbook. Step 1: Warm egg whites and sugar in a bowl over hot water, stir them together so the are mixed well. Remove from heat and whisk in a mixing bowl until stiff. Put them in a seperate bowl. Step 2. Clean mixing bowl and whisk attachment and place in freezer( a cold bowl insures better whipped cream). Step 3. Clean, hull and quarter Strawberries. Puree in a food processor. Step 4. In chilled mixing bowl whip heavy cream. Step 5 fold together puree, whipped egg whites and whipped cream. Freeze for 6 hours. Serve. 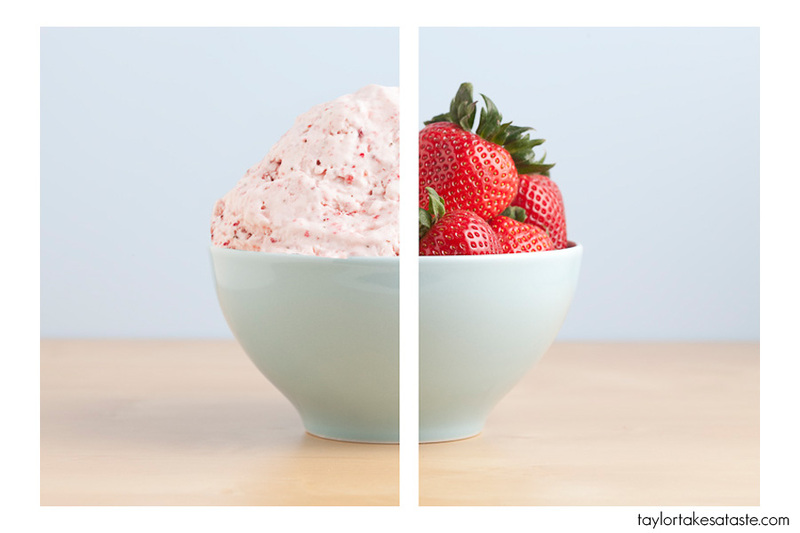 What you have created is a delicious light and airy strawberry treat. Perfect for your memorial day weekend! Enjoy! Oh yum, this sounds super delicious. Your photography skills are beyond amazing. Wow. I love the initial shot and the brightness in all of your photos. This light, simple dessert looks amazing. Yum, thanks for the step by step. And the picture is beautiful!